When Gina Gomez first arrived in the United States from her native Columbia nearly 20 years ago, she was met with a slew of cultural and language barriers. She struggled at times to acclimate to her new surroundings while she attended classes at Arkansas State University in Jonesboro. 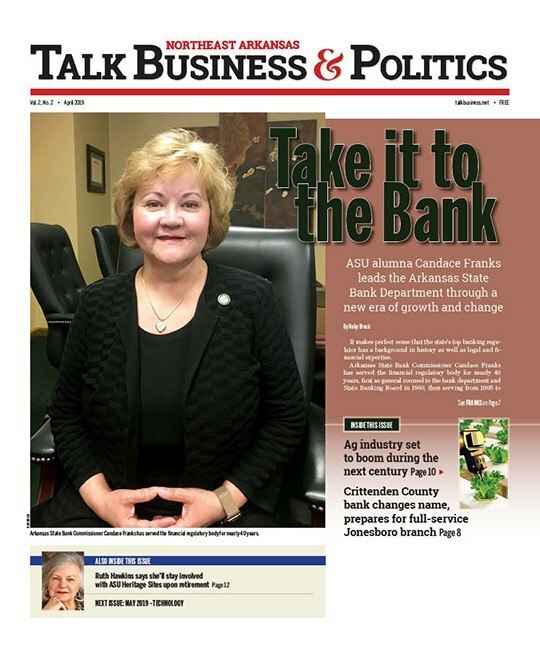 Her journey led her to become the executive director of Hispanic Community Services Inc., a non-profit organization that provides aid to Hispanics in Jonesboro and throughout Northeast Arkansas. HCSI unveiled a new 4,500-square-foot building in October. It cost about $1 million to construct. It’s a unique center in Arkansas and receives a lot of support from the community and civic leaders in the city, Gomez said. Hispanics are defined as those of Latin American descent excluding the country of Brazil, and they are Spanish speaking. HCSI began in 1997 when a local nun, sister Elaine Willet had an idea. At the time, there were about 400 Hispanics in Jonesboro. She wanted to help this minority group assimilate into the local culture and give them tools to succeed. In 2004, the organization became a non-profit. The Hispanic population has ballooned in the last 20 years. Hispanics make up 5.6% of the population in Jonesboro, a city of about 78,000, according to the U.S. Census Bureau. There are more than the estimated 4,000 Hispanics in Jonesboro, Gomez said. She said the number is closer to 6,000 and rising yearly. There are 12,000 Hispanics in the region. Agriculture, service, and light manufacturing sector jobs are the bedrock of the economy in the region, and those jobs have and will continue to lure Hispanic workers, she said. The number of high skill and education jobs has grown and it has attracted high skill, high education Hispanics to the region, too. A number of them are illegal or undocumented workers, and that makes it difficult to calculate the actual numbers in the area. Many are here to work and prefer to remain in the shadows, she said. But, learning how to speak English, and figuring out cultural norms can be difficult and that’s when HCSI steps in. It offers speaking classes, help with citizenship tests, tutoring, after school programs, interpretive services and others. One program allows Hispanics to meet police officers at the center to give them a positive interaction with law enforcement. No one is required to provide proof of citizenship. It’s estimated the center has provided more than 68,000 services since it became a non-profit. Translations and interpretations make up about 64% of services provided. Mexican nationals represent 77.5% of HCSI’s clientele. About 94% of their clients come from low to moderate income households, and 82% come from Jonesboro. Clients from Paragould, Pocahontas, Blytheville, Trumann, and other cities in Northeast Arkansas have also received services. The overwhelming majority of Hispanics come to work and help support their family members here and back in their native countries, she said. Many are fearful of jail or deportation. The thing that scares them the most is separation from their children. It costs about $250,000 per year to operate the HCSI, and that doesn’t include five full-time positions paid for through other organizations such as Delta Corps, a program administered through the Delta Regional Authority. Most of the money comes from state and federal grants, and fundraising. Volunteers and interns from Arkansas State University do a lot of the work, too. When Gov. 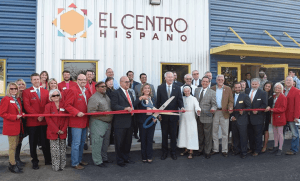 Asa Hutchinson attended the grand opening, he was surprised by how well the center operates, and how much support it receives from the community. One key has been the center’s willingness to work with local officials, and provide services and value to the community. HCSI hopes to branch out further into the region during the next year, she said. “This has been a very welcoming community,” said Gomez.